Kurtis are the perfect outfit solution for the summer season. They are comfortable, relaxed and comes with endless opportunities for styling. Pair them with salwar, leggings, palazzo pants or skirts, any way you like it. There are so many options! I love wearing kurtas more than jean during summer for that carefree look. So as usual, for Summer 2018, I bought several kurtas online, from the streets and retail stores. 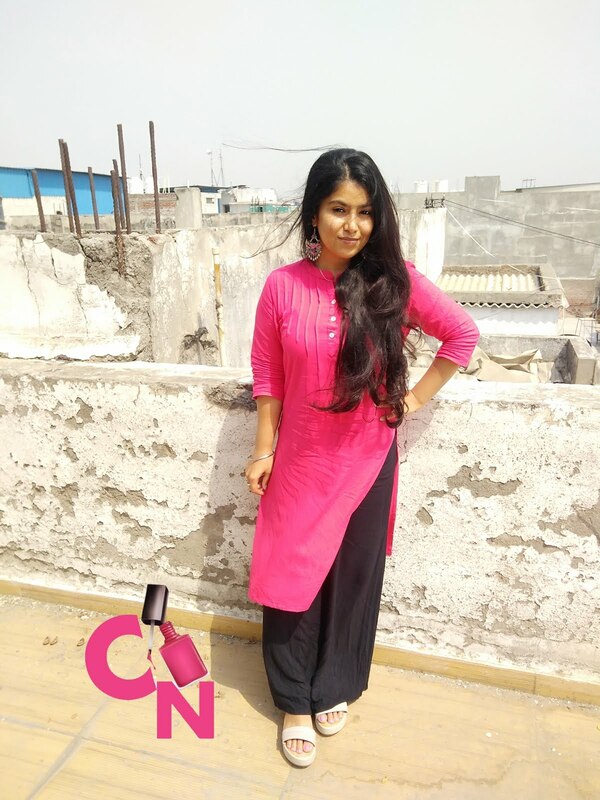 Here are some of my favourite kurtis for the perfect Indian summer look! 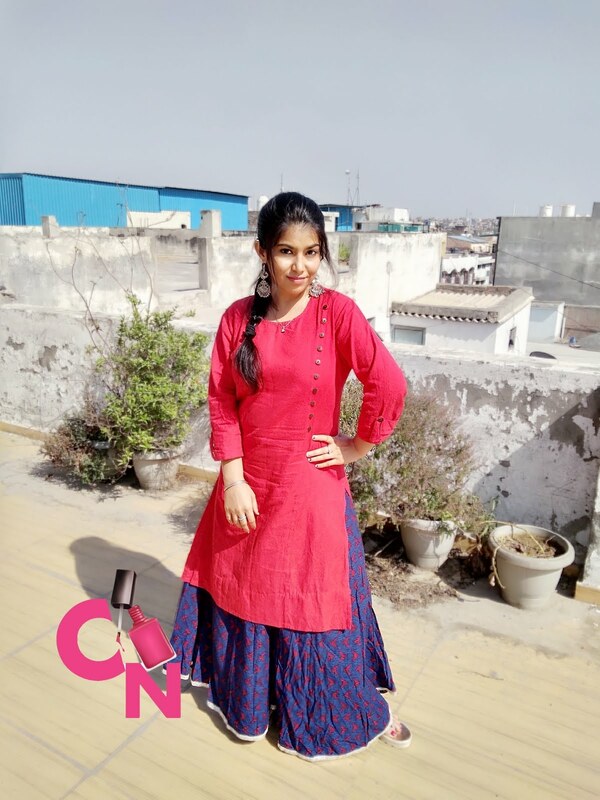 This one is Round Neck 3/4Th Sleeves Printed cotton Kurta With Button Detailing in red colour. Those buttons are there just for the detailing, which actually looks good. There is a very slight red printing done on it that's why it was not visible in the image a lot. The fabric of this kurti is rough cotton which gives it a very authentic feel. It shrunk slightly after the first wash, but not a lot. I love wearing it with flared skirts and leggings. This one is Round Neck Stright Kurta With Pleats And Embroidery Detailing At Yoke And 3/4Th Sleeves in Turquoise colour and Viscose fabric. I paired this with orange leggings and orange phulkari dupatta. Tip: If you have bought kurtas in viscose fabric and it shrunk after washing it, try ironing it. It will get back to original size. This one is Mandarin Collar Straight Kurta With Front Placket 3/4Th Sleeves in Fuchsia colour. The fabric is 100% Viscose which is another fabric that you can trust after cotton for summer. It is a very flowy fabric. I paired this one with black palazzos but you can wear it with white as well. The fitting is really nice and the fabric keeps me cool. 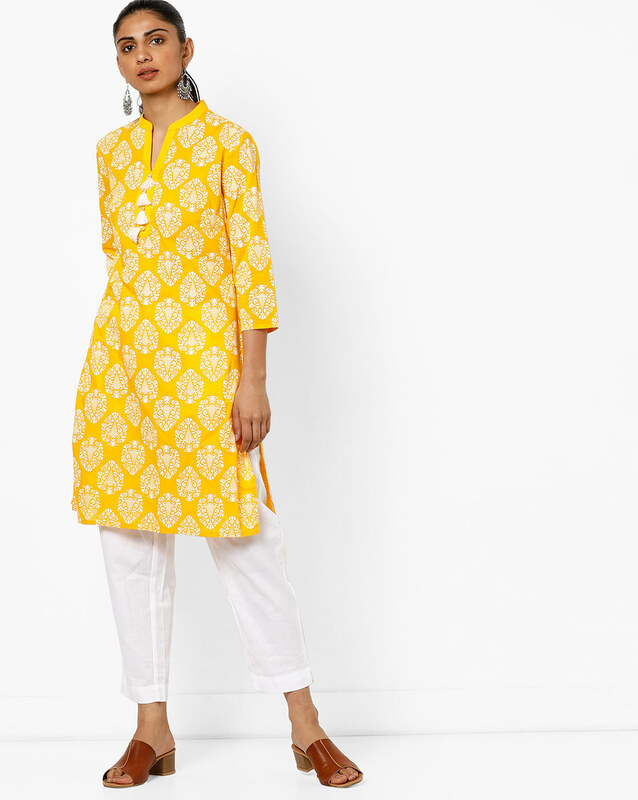 This one is a textured kurta with embroidery on the front & sleeves hem. I bought it from Shristi brand at Big Bazaar. The fit is really nice and the kurta also didn't shrink after first wash. Very light and comfortable for the Summer season. This one is Flocked with block print motifs and a straight silhouette, with tassels on the front giving it a rather graceful everyday look. I paired this one with white cotton pants and sometimes with black palazzos. Just love the tassel detailing on the front. Have you been shopping for kurtis this summer? 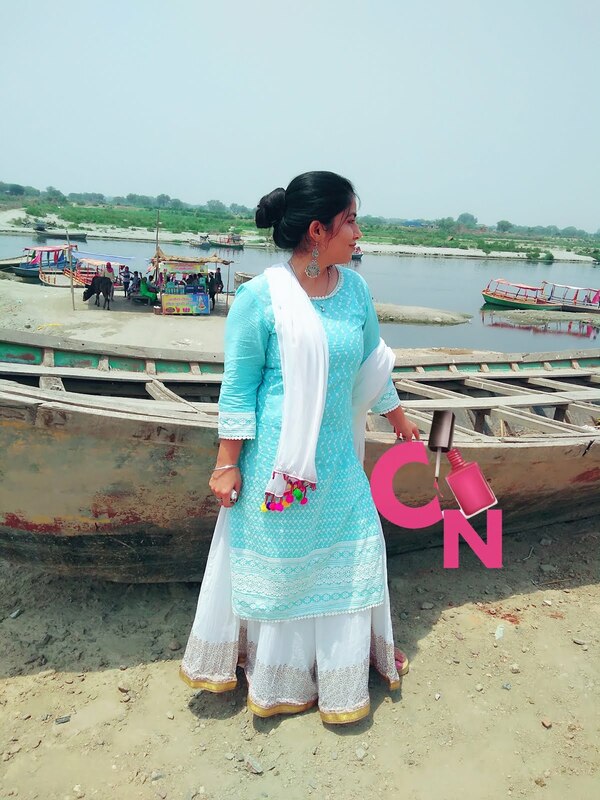 Tell me in the comments about your favourite cotton kurtis.